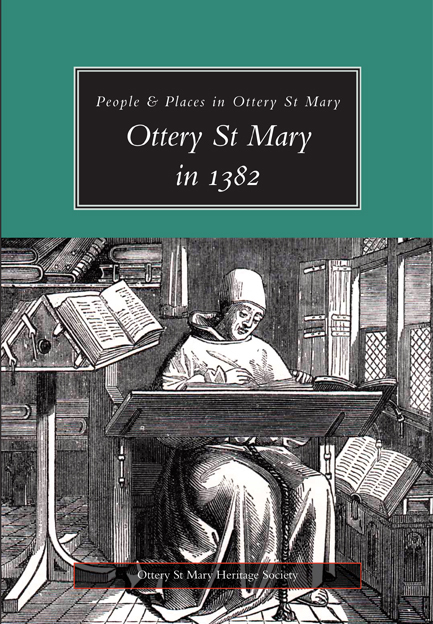 On these pages you will find some useful historical information for family and other local history connected with the town and parish of Ottery St Mary. There are also some links to other local history Societies in East Devon - see the list at the foot of this page. The Society has begun publishing a series of booklets containing local records. The first of these is the Lay subsidy returns for 1327 and 1332 and contains an introduction to over 200 names of people and places in and around Ottery from the middle ages. 24pages plus covers, A5 format. A must for anyone with family connections or a general interest in Ottery St Mary. Available in Ottery at the local Bookshop, or contact the society. 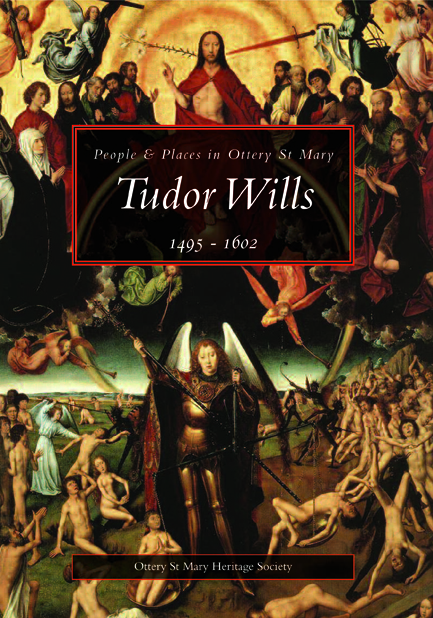 The second in our series of booklets containing local records is a transcription of 19 Ottery St Mary wills from the Tudor period. 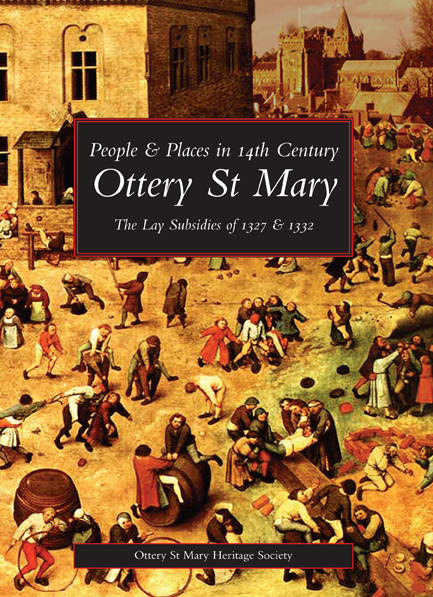 The Book contains an introduction to over 300 names of people and places in and around Ottery from 1495 - 1602. 74 pages plus covers, A5 format. A must for anyone with family connections or a general interest in Ottery St Mary. Available in Ottery at the local Bookshop, or TIC, or by post (UK) - £4.00 (includes P&P) from Chris Saunders, Myrtle Place, Gosford Lane, Ottery St Mary EX11 1NA, Devon. Cheques should be made out to "Ottery St Mary Heritage Society". The third in our series of booklets containing local records is a transcription of a rental drawn up in 1382. The Book contains an introduction to the period in which the rental was made and the reasons it has survived. List all of Ottery tenants, their land holding and the rents they paid. 36 pages A5, plus covers, indexed personal and placenames - a must for anyone with family connections or a general interest in Ottery St Mary. Available in Ottery at the local Bookshop, or TIC, or by post (UK) - £4.00 (includes P&P) from Chris Saunders, Myrtle Place, Gosford Lane, Ottery St Mary EX11 1NA, Devon. Cheques should be made out to "Ottery St Mary Heritage Society". A5, 216 pages in two colours. The Golden Jubilee book is a fascinating and extremely useful compendium of Ottery's history covering the period 1887 - 2002 - being the period between the Golden Jubilees of Victoria and Elizabeth II. It was published as a limited edition and copies have already appeared on eBay at anything up to £25 each! So this is a real bargain. Please post a cheque (in favour of Ottery St Mary Heritage Society) to Lynda Murlewski, Wynford, Lower Broad Oak Road, West Hill, Ottery St Mary EX11 1UF, Devon. 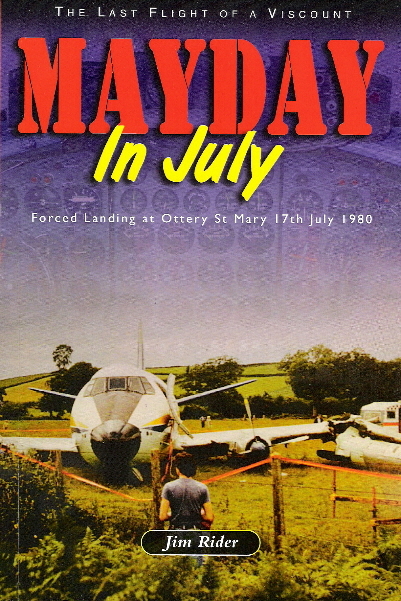 In this remarkable true story, set in the last days of one of Great Britain's magnificent airliners, the 'Vickers Viscount', Jim Rider follows the bizarre circumstances that caused a routine flight from Santander to the UK to end in disaster in a farmer's field so close to the town of Ottery St Mary. Orders and enquiries to 01404 814469.